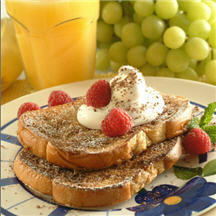 CooksRecipes has quality, kitchen-tested recipes for French toast that you can count on for successful deliciousness. 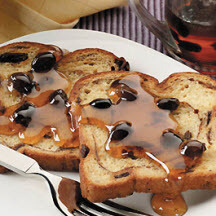 What could be better than serving your friends and family this wonderful French toast with whipped cream, fresh raspberries and topped with grated chocolate. 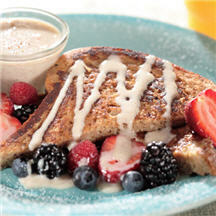 Instead of maple syrup, French toast is topped with a creamy cinnamon flavored sauce.